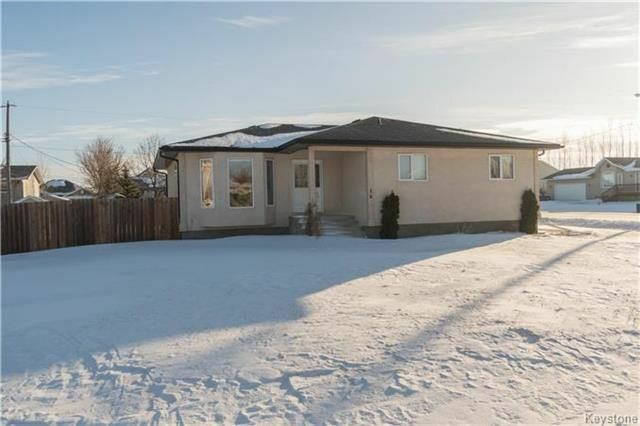 This custom 4 bedroom bungalow built in 2009,was designed to suit the needs of a growing family.The main floor features a spacious kitchen with an abundance of natural light, cupboard and counter space, including a corner pantry. Over the sink a large east facing window offers views to your spacious fully fenced yard - great for watching the kids play and summer bbq's! The kitchen opens up to the dining area and inviting living room! The master bedroom offers an ensuite, a walk-in closet and one additional closet for even more storage!Downstairs in-floor heat and bathroom plumbing have been roughed in, there is 200amp electrical service and the lower level windows are larger than egress standards, making this space ready for you to move in and add your personal touch to.The double attached garage is insulated and has a heater.Located in convenient and friendly Elie, MB and only 25 minutes to Winnipeg or Portage la Prairie.Call your REALTOR® today to book your showing.